Tauheed Epps (1977) also known as 2 Chainz is an American rapper who is one of the artists consolidating the South's recent dominance of the Rap/Hip Hop charts. Following various mixtapes and released singles, 2 Chainz started to establish himself as a prospective talent in the South's diverse array of flourishing talent. 2 Chainz's breakthrough came in 2012, when he was featured on tracks alongside Kanye West and Nicki Minaj introducing him into the mainstream consciousness of the Rap world. Shortly after, he released his project "Based on a T.R.U Story" and then his second project in partnership with Pharrell Williams and Drake "B.O.A.T. S. II: Me Time”. 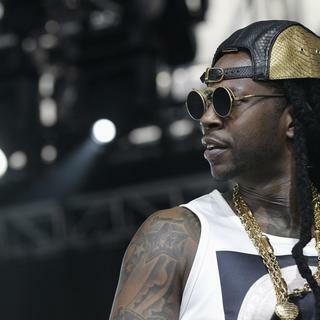 Following various additional features, mixtapes and projects; 2 Chainz released another highly anticipated project in 2017. “Pretty Girls Like Trap Music” reached number two on the Billboard 200 and was evidently well received by Rap fans. 2 Chainz has continued and strengthen his reputation as the “King of Features”, featuring on songs with Steve Aoki and Eminem. Recently in 2018, he released an EP with LA rapper YG and Atlanta rapper Offset called “The Play Don't Care Who Makes It". 2 Chainz has sustained his mainstream popularity with the commissioning of his own TV series in conjunction with the popular channel, VICELAND.